Product categories of Australia Temporary Fence, we are specialized manufacturers from China, Australia Temporary Fence, Australia Pvc Temporary Fence suppliers/factory, wholesale high-quality products of Australia Plastic Temporary Fence R & D and manufacturing, we have the perfect after-sales service and technical support. Look forward to your cooperation! Australia temporary construction fencing is an alternative to its permanent counterpart when a fence is required on a short-term basis such as for storage, public safety, crowd control, or theft deterrence. We offer a variety if sizes of Temporary fence panels to suit your site specific requirements. Our fence panels are designed and constructed to be the strongest and most durable in the industry. They can be installed quickly and easily; They can be free standing or anchored into any type of surface. It can be used in a wide range of environments. Australia Temporary Fence panels are made using galvanized steel wire strands and welded together to form a high strength mesh. With a galvanized finish and fully welded frame, the system offers a total package for your site, giving a system that is user friendly to you and the general public. The welded mesh temporary fence is more popular in Australia market, it includes Temporary Fence panel, clamps and plastic feet. It is easily installing, high perceptivety and no destrustion to the around environment features, is widely used in sports, agricultural and industrail fiels. And its main market is Austraila, New Zealand, European countries and Aisa countries. 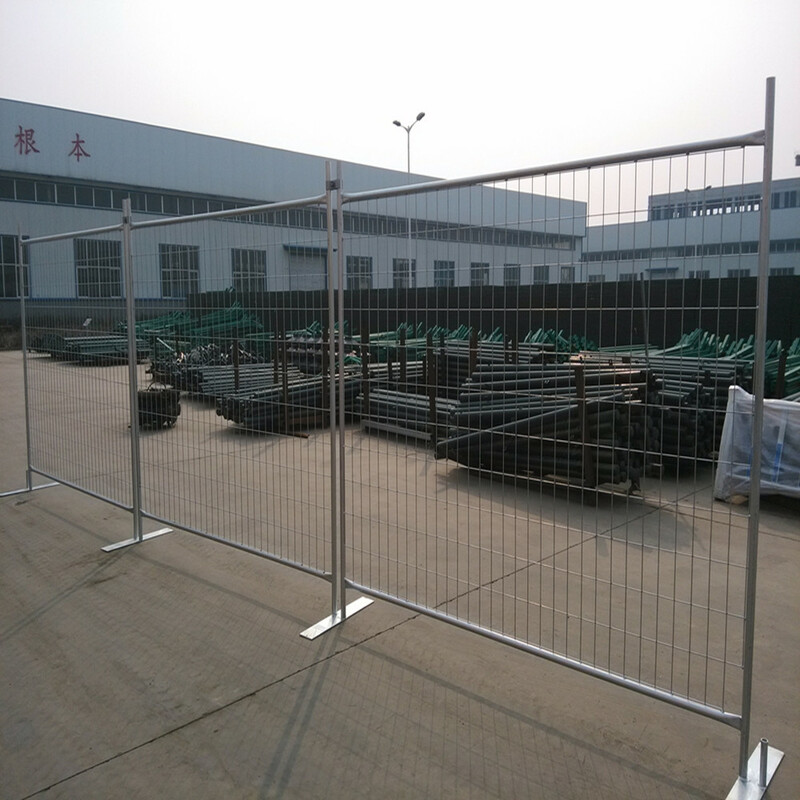 Temporary fence panels are made using galvanized steel wire strands and welded together to form a high strength mesh.One complete set of construction used temp fence includes: galvanized temporary Fence Panel,welded mesh temporary fence clamps,temp fence plastic feet,temporary fence brace.